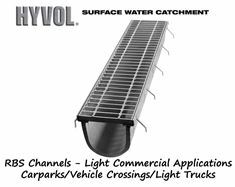 HYVOL® RBSFH Channel & Grate SETS are used for LIght Commercial Applications such as Carparks, Vehicle Crossings & Light Trucks. The RBSFH sets are approved by Auckland Transport for Vehicle Crossings. 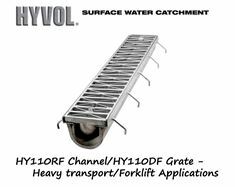 RFDF Channel & Grate SETS are used for Heavy Transport and Forklift Applications.